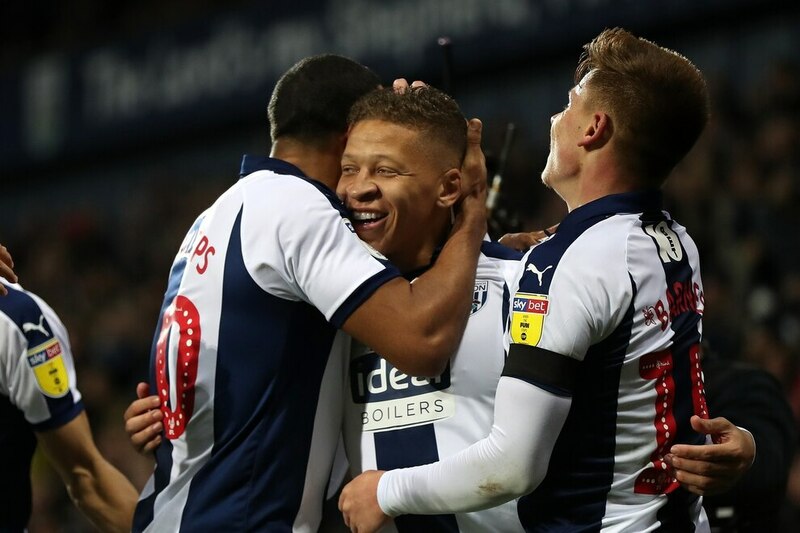 Joining Albion in the summer was a surreal experience for Dwight Gayle for a couple of reasons. As well as being slightly starstruck by Gareth Barry, the striker was also reunited with fellow Londoner and childhood rival Jake Livermore. 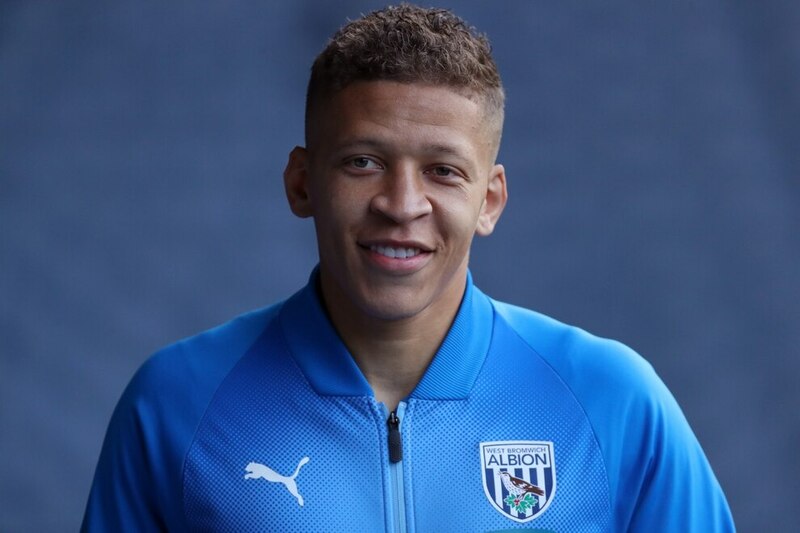 “Me and Jakey have got a lot of history,” revealed Gayle, in his first in-depth interview since joining the Baggies. Gayle was born in Walthamstow and Livermore was brought up in the neighbouring borough of Enfield. But while Spurs kept Livermore on before eventually selling him to Hull in 2014, Arsenal released Gayle at the age of 12. “His uncle used to work on my road,” revealed Gayle. “I used to walk past his shop and see Jakey there. “I was about 17 or 18 so Jake would still have been at Tottenham trying to break into the first team. “I would probably have been at college. I used to say ‘hello’ when I saw him there. Gayle has subsequently worked his way back up the pyramid from non-league Bishop’s Stortford to Dagenham & Redbridge and then Peterborough before Crystal Palace took him to the Premier League. But he’s a lethal finisher now, rather than a central midfielder. Livermore is a formidable opponent these days, but was the central midfielder as big when he was 12 years old? “Yeah, but there was a bigger guy they used to have in midfield too,” recalled Gayle. “Him and Jake used to be very tough opponents. Gayle is most likely being humble, because humility is the common trait that emanates out of this softly-spoken striker with an infectious grin and an eye for goal. Despite making a huge impact since his arrival on loan from Newcastle, scoring nine goals and winning four penalties for the country’s deadliest team, he is at pains to heap praise on his team-mates. And he was in awe of one particular player when he first arrived at the Palm training ground in Walsall. “If I’m honest I was a bit starstruck meeting Gareth Barry,” said the Newcastle loanee. “Obviously he’s a legend, it’s nice to be playing in the same team as him. "I asked him this week if the Macclesfield boys [who played Barry in the Checkatrade Trophy], were buzzing to play against him. Gayle is 29 now and arguably in the prime of his career, but he’s eight years younger than Barry, whose longevity astounds him. “I don’t think I’ve got that in my locker personally!” admitted the striker. “It’s obviously a fantastic achievement to be playing at that level at the age of 37 and be as fit as he is. Strikers are supposed to be selfish, but Gayle comes across as the archetypal team player, and he delights in revisiting Saturday’s victory over Leeds, even though he was only on the pitch for the last 10 minutes. “It was a really fantastic performance,” he beams. “Even the boys on the side, we were absolutely buzzing and cheering ridiculously. The game was really good to watch and the intent that we showed. When it’s put to Gayle he might struggle to get back into the team after such a performance, his response arrives with a smile. Gayle is being exceptionally humble here, because his goals and have been crucial this season. And some of them have been stunning. The backheel against Leeds was inventive, the free-kick against Preston was a rocket, but his favourite is still the balletic pirouette against Stoke. That will be music to the ears of Albion fans, who have taken warmly to the former Crystal Palace striker, but he insists it’s a two-way street. “I’ve really enjoyed it so far,” he said. “It’s really exciting football we’re playing and I feel really confident with the great players we’ve got. “I’m really thankful for the fans and the players– everyone around the football club. See tomorrow's Express & Star to read part two of our interview with Dwight Gayle.